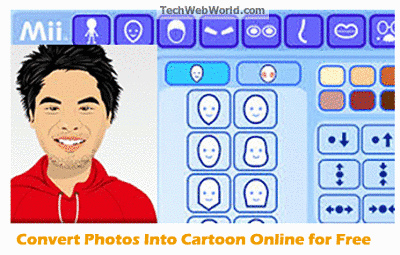 There are already lots of free applications and web-based tools available that let you turn your photos into cartoon. Here in this post, we will be talking about the web-based tools. Web-based or online tools are alternatives to the desktop software and apps which prevent us from installing these types of heavy apps on our computer pc. Where we are talking about online tools, I'd like to remind you that we already had shared lots of freebies & online tools that were quite interesting as we're getting more feedback from our readers through comments and contact us forms. Here are the few from it for you. You can also look at our Sitemap to get list of all posts that we had on this blog. Well, so here let get back to our today's topic and give you the tools and freebies that we collected for our today's post. 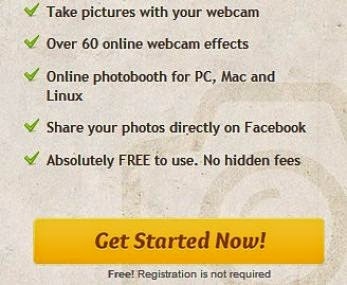 Now we'll be sharing the list of best websites that converts your pictures & photos into cartoons online for free. Now let have a look to the list of free online tools to convert your photos into cartoon for free within your own browser.we will be adding a short description & process of converting photos into cartoon for each tool in order to make it easy for you to pick up the one which looks perfect for you to use. Cartoon.ph.to is an online photo editor which has a feature of converting a photo into cartoon online. As there are lots of things and editing features within it but we'll be talking about its cartoon feature.The process of converting a photo to cartoon is to upload the photo either from your computer, by entering a URL or by choosing a photo from your facebook profile. Once you had upload a photo, you will see live preview of uploaded image above which you can see three options that you can apply to the uploaded image. i.e Face Morphing, Cartoon effect and face auto crop. Once you satisfied after applying some effects to your photos, you can right click on image select "save image as" to save image to your computer or save on save and share button below the preview field. KusoCartoon is another best tool that i found on internet which let you cartoonize your photos online for free. There are few amazing cartoon styles available on this website which you can apply to your photo. What you have to do is to select a style you want to apply to your image and then upload your photo by clicking on choose file and then click on cartoonize photo. Wait a moment or refresh the page if does not appear itself and you will see lots of options that you can apply to your photos for free. so check them one by one and download your photo after getting a satisfactory style of your image. Tough this is another best and free to use tool enables you to convert your photos into cartoon online for free. It has also few good and funny photo effects which you can apply to your photos online for free. You can select an effect to apply to your image which you can see just above you uploaded image. thecartoonist.me is an easy to use free online tool allowing you to create a cartoon of your uploaded photo within your web-browser just in few clicks. The steps you've to be done is to upload a photo from your computer and then select a satisfactory cartoon style for your photo. 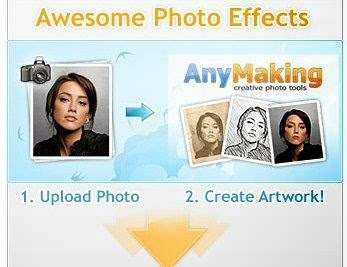 Anymaking is a free online photo editor which can also be used in order to turn your photos to cartoon. you can use its photo editor where you will have to upload a photo and then can select a satisfactory style from the available styles. I don't think this is the new name for the lovers of photography. But if you're a beginner then you may don't know about this. So I'd like to say that this is one of the most popular and best photo editor which can also be used to cartoonize your photos online. You can apply and make some changes in the properties of the current image under its photo editor to make your photos looks like a cartoon. Apart of the above, you can also look at LunaPic, PictureToPeople in order to convert your photos into cartoon online for free. So dear readers! In this post we've shared some online freebies that will turn your photos into cartoon for free within your browser. I hope you liked our today's collection. Also please do share our post on your social profiles and let your friends also enjoy by giving a new look to their photos!!!. Let me use one of the tools you listed above to play around with some of my pics.. cool tips!! Yeah Crace Joseph! You can make use any of the above tools easily because it never asks you even you register yourself in order to turn your photos into cartoon and play with your pics. Thanks for visiting our blog and leaving a valuable comment.